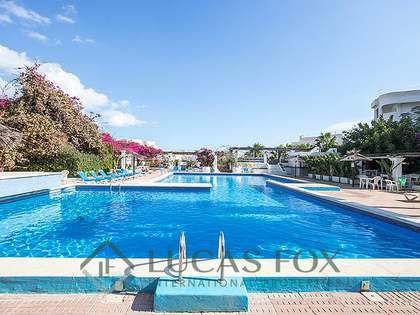 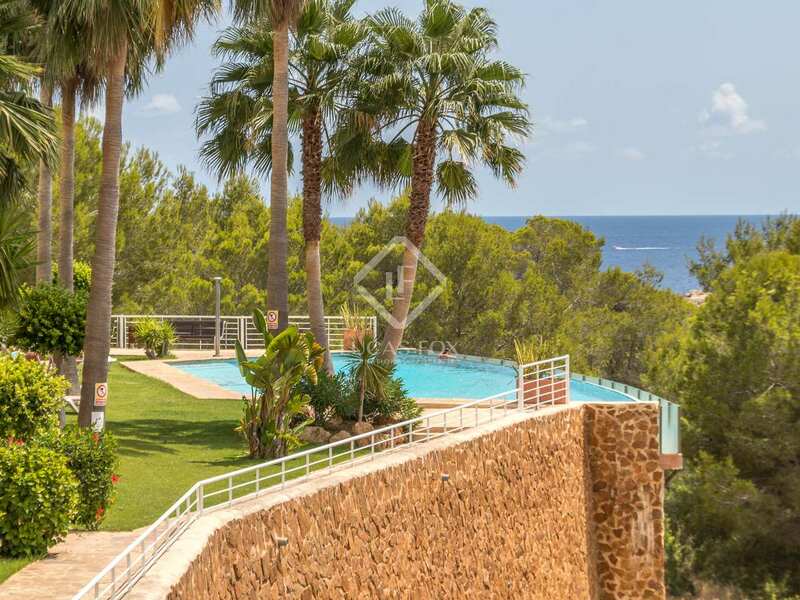 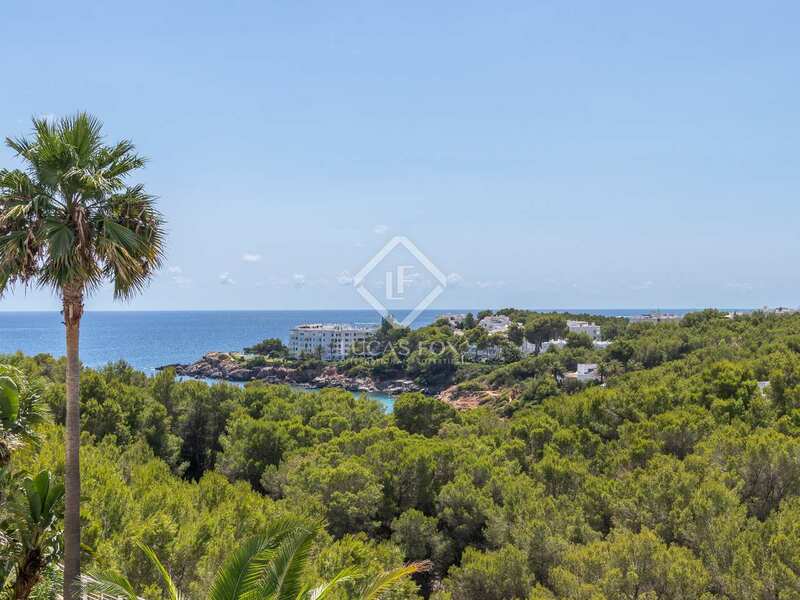 This spacious apartment is in a beautiful location near San Carlos and Santa Eulalia, a few steps from two emblematic beaches. 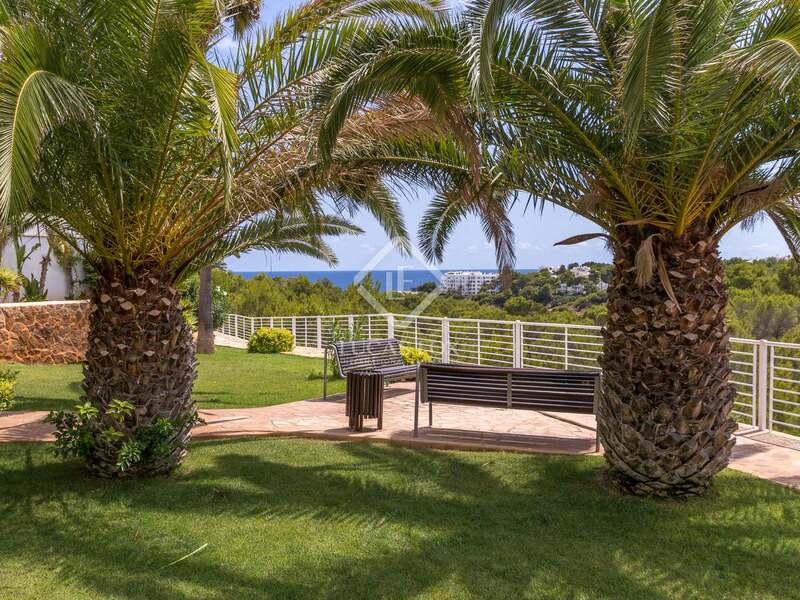 In the area you will also find restaurants and services. The apartment is located on the first floor of a luxury building with 3 floors facing southwest. 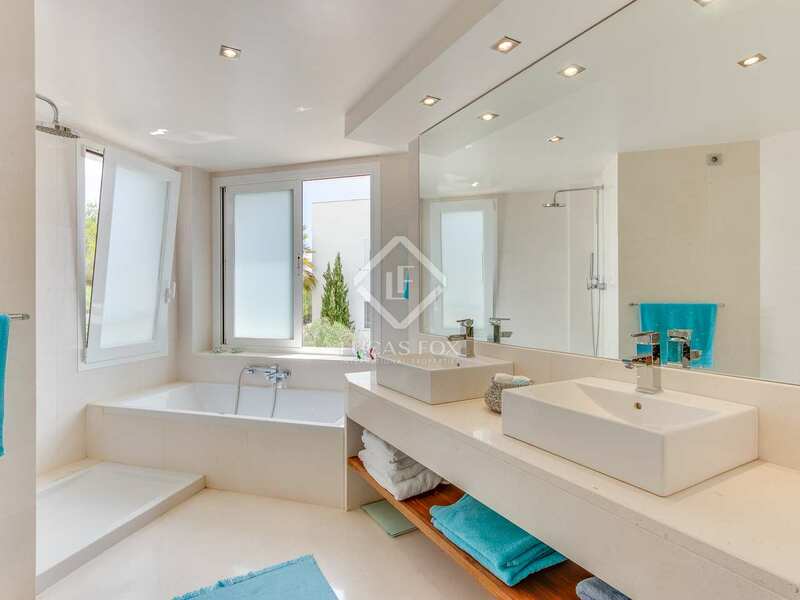 It is an exceptional building with premium architecture and features. 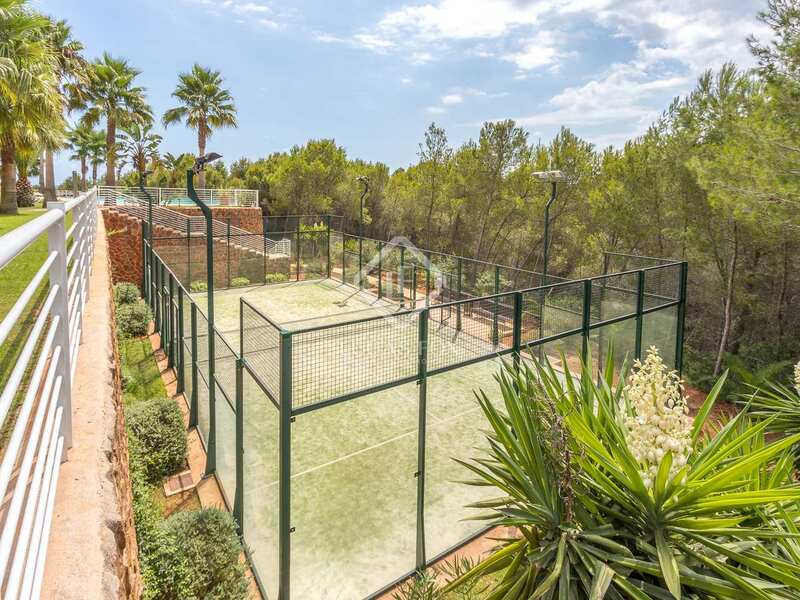 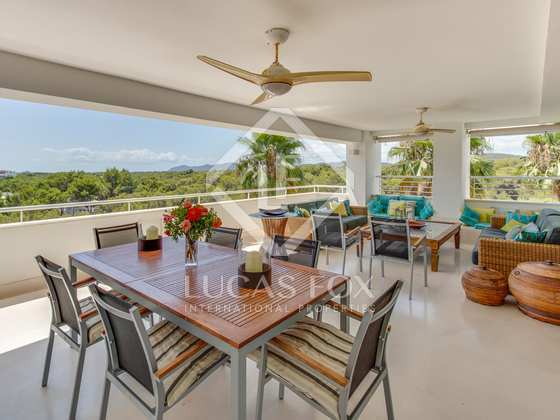 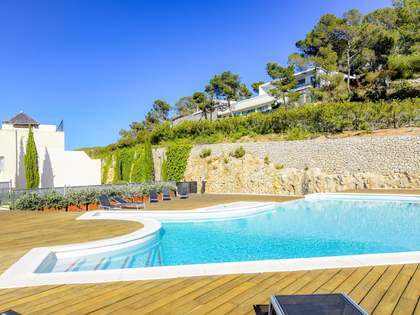 All of the homes have privacy and open views, and the building offers stunning common areas with tropical gardens, 2 swimming pools, 2 padel courts and private access to the beach. 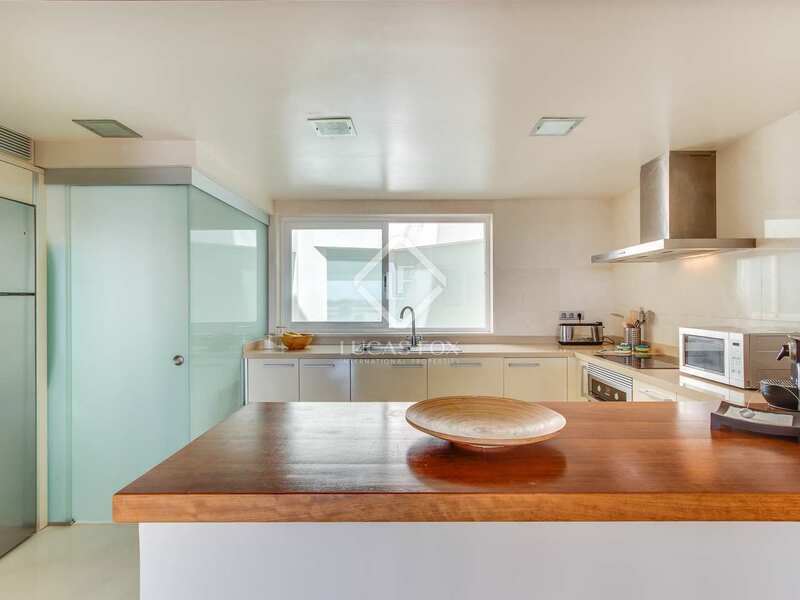 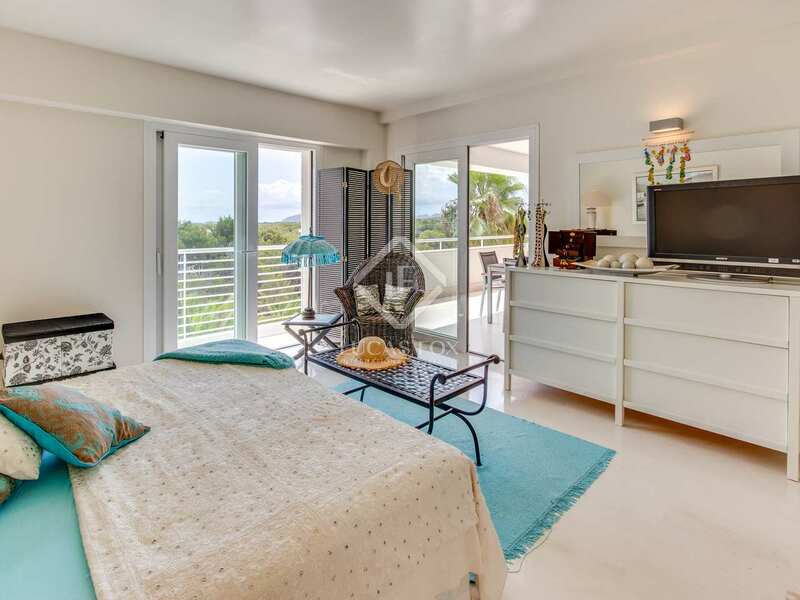 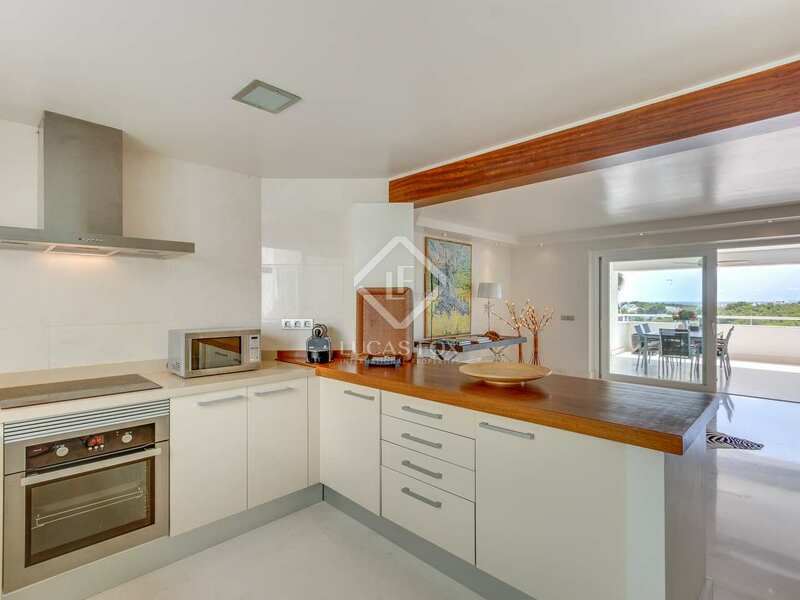 This apartment has a living-dining room with a fully equipped kitchen, a fantastic terrace of 52 m² with views of the sea and the beach, 4 bedrooms and 3 bathrooms. 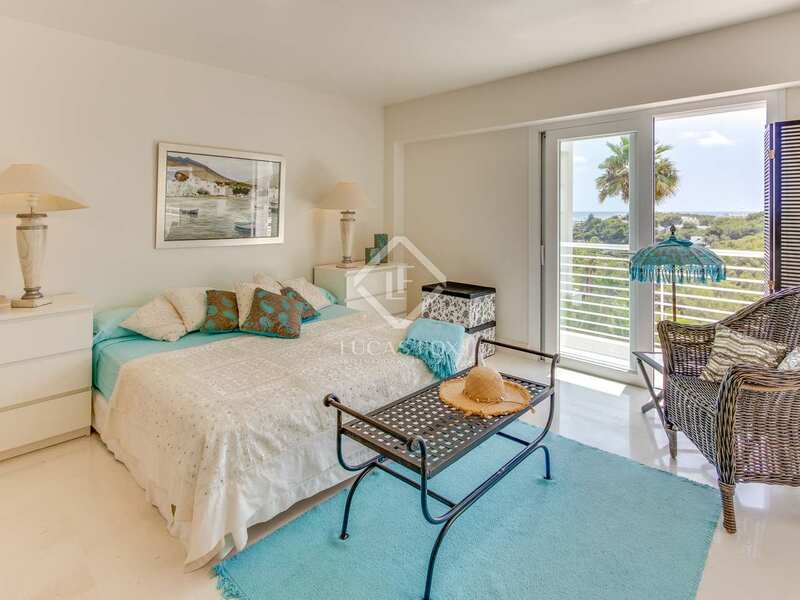 Two of the bedrooms have private bathrooms, and one of them also has a dressing room and sea views. 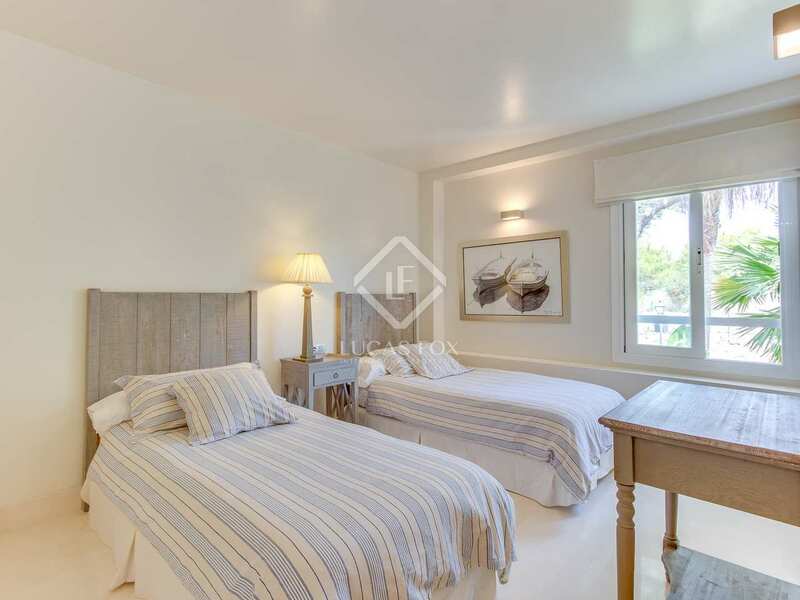 The other two share a complete bathroom. All the finishes are of a very high standard and the apartment is very comfortable. 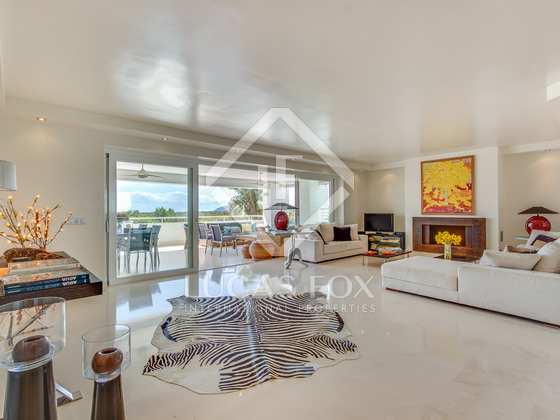 It has central air conditioning with separate areas and a fireplace to enjoy the winter evenings with your friends. 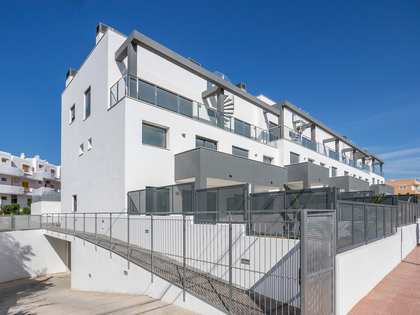 For your maximum convenience, the basement of the building has a closed parking space and a storage room of 13 m², that is perfect for storing firewood for the fireplace. 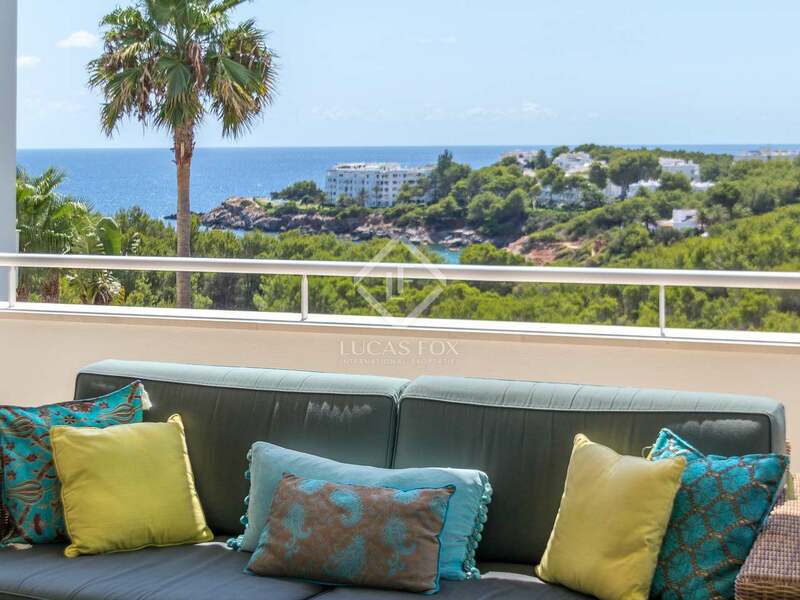 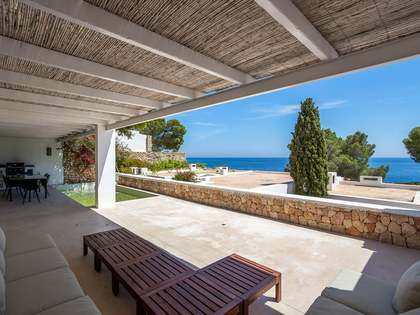 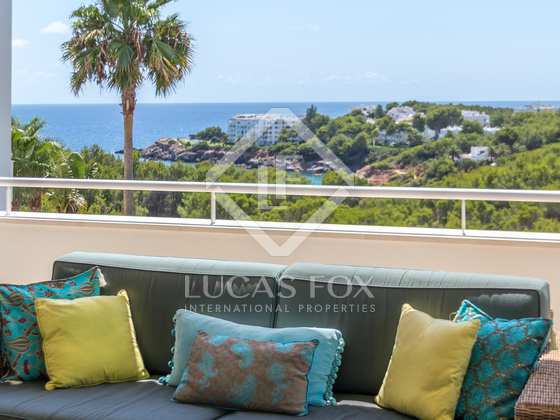 Contact us for more information about this magnificent apartment next to the beach in Ibiza. 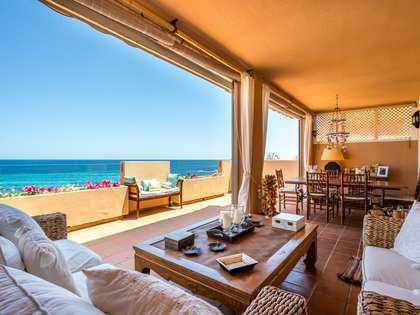 This apartment is 2 minutes on foot from one beach and 8 minutes from another.